Applications are invited from suitably qualified candidates for the post of REGISTRAR of the University of Lagos. The position shall be vacant by August 1, 2018. 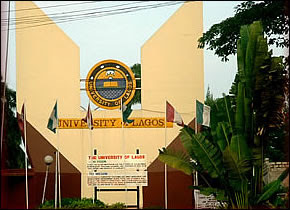 The University of Lagos was established in 1962 by an Act of Parliament of the Federal Republic of Nigeria to encourage the advancement of learning. Located in the urban and commercial city of Lagos, with the main campus in Akoka, two other campuses are the Yaba campus and the College of Medicine, University of Lagos (CMUL) Idi-Araba campus. The University caters for both full time and part time students. The University has an overall student population of over 50,000 (regular and part-time at both undergraduate and postgraduate levels). It has staff strength of about five thousand. The Registrar is a Principal Officer and as the Chief Administrative Officer of the University is responsible to the Vice-Chancellor for the day-to-day administrative work of the University except for financial matters, which fall within the purview of the Bursar. The Registrar is also the Secretary to Council, Senate, Convocation and Congregation of the University. For the vacant post, the University seeks candidates with the vision, proven academic distinction, managerial ability, integrity and transparency in private and public life. The right candidate shall be a person of high integrity, strong moral character with excellent interpersonal relations and must be able to instil confidence in others and command the loyalty and respect of people. The candidate must fully understand the complexity of a University system and must be able to effectively utilize its human resources to attain a world class administrative system. In addition the Registrar must be able to demonstrate dynamism and wisdom when confronted with crisis or undesirable situations. S/he must also be an achiever who should show exceptional abilities for institutional loyalty and networking with the outside world. Furthermore, the candidate must be in good health, be ICT compliant and must not be older than sixty (60) years on assumption of duty. The successful candidate should be able to sustain and improve on the University Registry and establish linkages. Candidates must possess a good Honours degree (minimum of second class lower division) plus NYSC Discharge Certificate or Evidence of Exemption. Candidates must possess at least fifteen (15) years of post-qualification administrative and professional experience, with a minimum of ten (10) years at senior management level preferably in a University or comparable institution. Possession of a Masters degree and membership of recognized professional bodies is required. The Candidates should not be older than sixty (60) years by August 1, 2018. The successful candidate shall hold office for a period of five (5) years from the effective date of appointment with additional one (1) year subject to satisfactory performance as may be determined by appropriate University laws and the Governing Council of the University of Lagos. The remuneration and other conditions of service are as applicable to the post of a Registrar of Federal Universities in Nigeria and as may be determined from time to time by the Federal Government of Nigeria and the University’s Governing Council as appropriate. 9. Statement of Experience including full details of former and present posts. 10. Vision for the University in the next five years (not more than 500 words). The candidate should also state in clear terms of not more than 500 words, his/her vision statement for the University in the next five years with particular reference to administration and control of the administrative affairs of the University. In addition to stating the names and addresses of three referees, applicants should request their referees to forward references on their behalf directly to the Registrar and Secretary to Council, 5th Floor Senate House, University of Lagos, Nigeria. Applicants are also expected to log on to www.recruitment.unilag.edu.ng and complete the online application and print out. The printed online application form along with the hard copies of the application are to be submitted under confidential cover with envelope marked “POST OF REGISTRAR, UNILAG” addressed to the Registrar and Secretary to Council, 5th Floor Senate House, University of Lagos, Nigeria, not later than six (6) weeks from the date of this publication.